A desire to learn the latest advancements in dental care and technology is what attracted Bethany to Hamlin Dental Center. 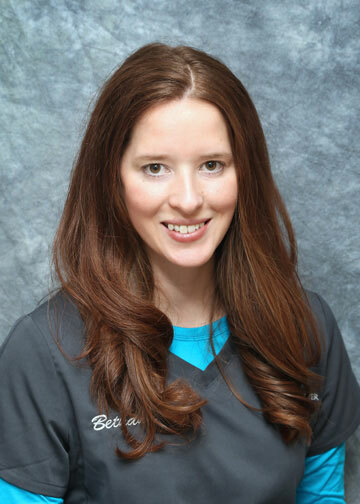 Bethany joined our team as a Certified Dental Assistant and Front Desk Assistant. With more than seven years of experience in the dental profession, Bethany joined Hamlin Dental Center for the opportunity to further her education and knowledge beyond traditional dentistry. She holds certification in CPR/AED training. Bethany is also trained in the chair side E-Z Whitening Procedure. She enjoys helping our patients understand any dental treatment recommended by Dr. Kopesky and guiding them through the treatment process. She looks forward to continuing to ensure that the patients are comfortable and always have an overall positive experience here at Hamlin Dental Center, Inc.